Dora Murphy died, Wednesday, January 23, 2019, surrounded by her loving family at North Bay Regional Health Centre. She was 93 years of age. Dora (Garton) was predeceased by her husband Maurice Murphy (1915-1999) She was the loving mother of Donna Murphy of North Bay, Arlene Roberts (Elmer) of Golden Valley, Sharon Fry (Roland) of Loring and Lynn Johnson (Blair) of Golden Valley, and proud grandmother of 8 grandchildren and 7 great-grandchildren. Dora was the dear sister of Harold Garton (Yvonne) of Golden Valley and Myrna Jackson (Jack Crossman) of McKellar. The family will receive visitors at the St. Paul’s United Church on Sunday, January 27, 2019 from 2 to 6 pm and on Monday from 10 to 11 am. The funeral service will follow at 11 am in the church. Spring interment St. Paul’s Cemetery. 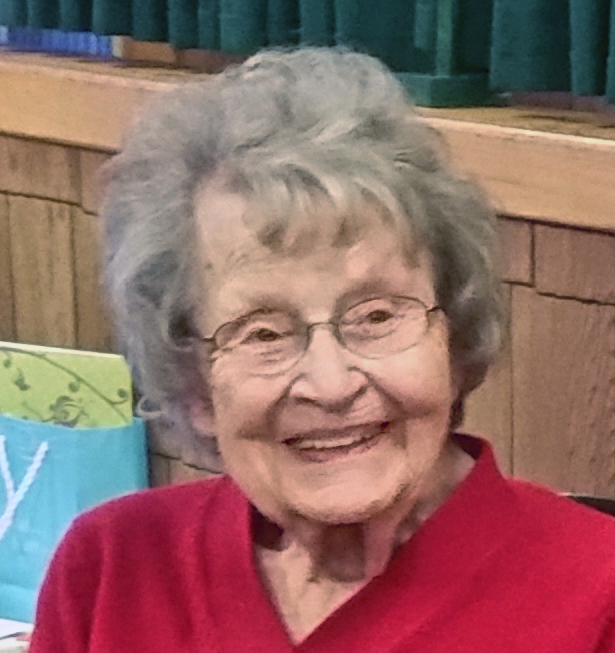 If desired, donations may be made in Dora’s memory to St. Paul’s United Church. To make a donation, or to leave a message of support for the family, or order flowers please go to www.paulfuneralhome.ca or call Paul Funeral Home, Powassan at (705) 724-2024.